Welcome to November's edition of Spa Voice, the UK Spa Association‘s monthly newsletter. Understanding your customers is the most important part of any business. Your customers are your lifeline to profits, respect, and reputation. No business can survive without customer retention, but it can be hard work learning how to keep them coming back for more of your services or products. Spa Voice looks at new tools to help you increase your ROI, create engaging events and examines how Linda Meredith has maintained her brand which is used by many a-list celebrity names. Now you're in the last 2 months of the year some strategic planning in the last two months of the year will make a huge difference to your profits. 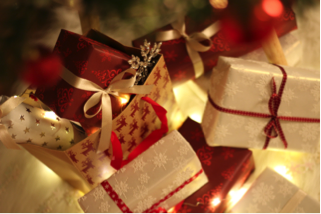 Christmas is a great time to hold an event and can boost revenue with retail sales and services in the spa. There are many different things you can do at your event, and it can depend on your individual spa as to how best to host this event. Vizzbook has taken the old-style Visitors Book, online and linked it to social networks. 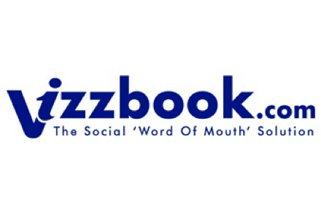 Vizzbooks creates a unique platform that shares customer feedback directly to their friends and followers on Facebook, Twitter and Linkedin. Many premium clients are already familiar with the Linda Meredith brand, which is found at numerous 5 Star spas across the world, including the Mandarin Oriental in London, Barcelona and Boston, as well as Chewton Glen here in the UK. The brand has also recently launched on Virgin Atlantic Airlines and the Oceania and Seabourn Luxury cruise liners. Others will know the name because of Linda's roster of famous clients, including Kate Moss, Penelope Cruz, Madonna and Gwyneth Paltrow. Victoria Beckham even revealed in her memoir that she visits the Knightsbridge salon every time she's in London. 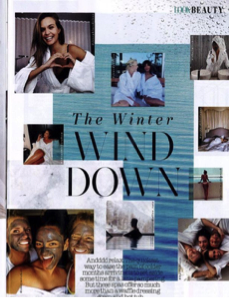 We’ve also benefited from masses of support from the trade publications with a particular mention to our friends at Professional Beauty and World Spa & Wellness Magazine and The Beauty Guild Magazine but for a full picture, click through to the Spa Week website. As we all work day to day in our spas, bringing together the customers who pay us with the fantastic products and equipment we buy, it is easy to get immersed in the detail of the operation, the leadership of our teams and logistics of management. Stepping away, sharing experiences and trading ideas are what make many of us better. Not only that, but our industry is truly innovative when it comes to suppliers. We need to understand their expertise, sample their products and spend time developing ourselves in the future of our industry. UKSA networking events, whether 'asking an expert', attending a seminar, or developing your skills represent a tight slot of time to invest in yourself whilst getting a good insight into a new spa location. We are shortly announcing our dates for 2018, so get them locked in and I look forward to seeing you there!" With this year’s campaign seeing unprecedented support from seven of our country’s leading suppliers, we have been overwhelmed by the offers that have been created to help push NSW into the operator and ultimately the consumer's attention. GROUPON will provide Every spa/salon that registers (currently 455) to take part in NSW a unique 20% credit code that can be redeemed against Groupon UK travel deals and for all spas/salons that sign up at Professional Beauty a £50 gift voucher. This attracted over 50 to sign up there and then. THE TRAINING ROOM is offering £300 off Sports Massage Training – exclusively for Spas taking part in National Spa Week. La BEEBY entered every spa/salon that registered to take part in NSW BEFORE THE 15th OCTOBER to be entered into an FREE PRIZE DRAW to win a beautiful set of new uniforms for their Spa or Salon team. The winning Spa was Alexandra House Holistic Health & Wellbeing Spa in Huddersfield. SIMON JERSEY is celebrating National Spa Week and their new linen blend range by giving you the chance to win a uniform for you and your team worth £500! A big thank you to all the supporters of National Spa Week, leading to a very interesting array of treatments being offered around the UK.